A little south of Mason, I camae across this two lane dirt road heading into the trees. 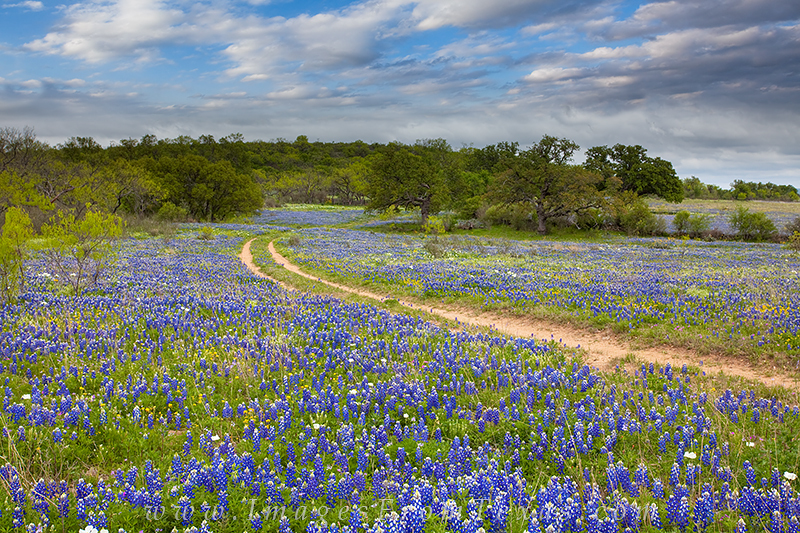 On each side, bluebonnets and other wildflowers filled the land. This was private land, so I took care to stay on the main dirt road and not trespass, but I did enjoy viewing this hill country landscape of Texas. Photo © copyright by Rob Greebon.